Do you live or work in Shieldfield? Are you interested in learning the basics about film-making? 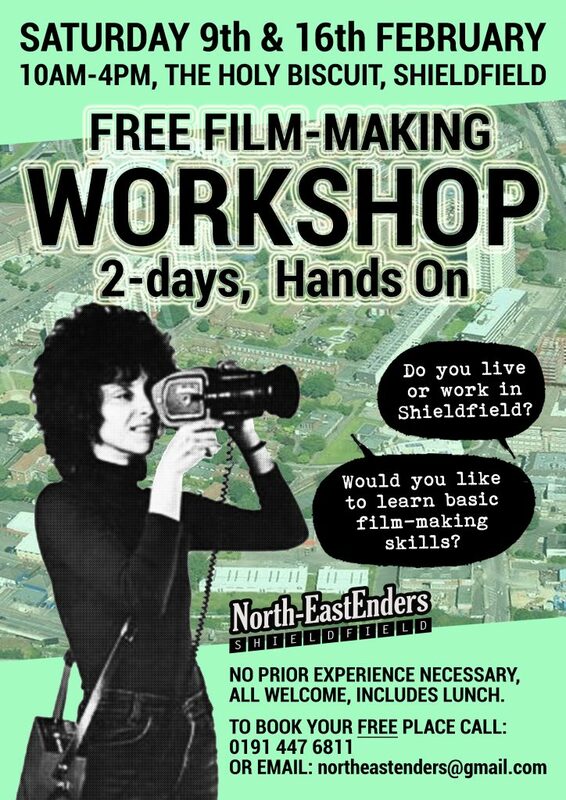 Well, over two Saturdays in February The Holy Biscuit, in collaboration with North-East film-making specialists Kaleidoscope, will be hosting a film-making workshop in Shieldfield. The workshop will take place on Saturday 9th and Saturday 16th February. Both days will be FREE, open to all, regardless of age or experience. Each Saturday will cover a different range of skills so you will benefit most from attending both. However, If you cannot attend both sessions, don’t worry, as each is structured to welcome one-off attendees. This workshop will be facilitated by artist Andrew Wilson and professional film-maker Craig Hawkes is part of the NorthEastEnders. Each workshop day includes a FREE lunch.